Two brothers who allegedly set up an Islamic State affiliated terror group have been arrested in the northern Philippines. Two separate raids in Baggao, Cagayan, last week led to the arrests of Altero and Greg Cariaga, Police General Oscar Albayalde announced today (Monday, April 1). “Apparently, they are pledging support to ISIS. This is the first time that an ISIS-sympathetic group was monitored outside the area of Mindanao,” he said at a press conference in Manila. 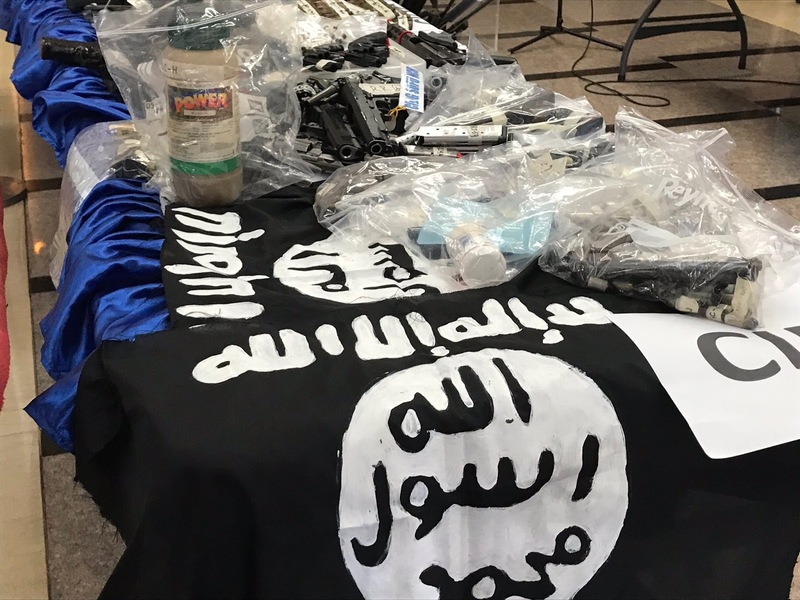 As well as guns and improvised explosive devices, both of the brothers were found to be in possession of black Islamic State flags. Police and military intelligence said the brothers founded the Syuful Khilafa Fi Luzon, or Northern Jihadist Group, in 2016. Altero is believed to be the group’s leader. “This is a terrorist and radical islamic propagation group in the concept of an ISIS-inspired group in the country,” the intelligence report read. Gen. Albayalde said that no terrorist attacks in any part of Luzon had yet been attributed to the group. “In our view, these groups only want to be known and so far they have not carried out any hostilities or atrocities in that region,” he said at a news conference today. The brothers are now facing charges for illegal possession of firearms and explosive materials. They, along with the evidence against them, have been taken to the Criminal Investigation and Detection Group’s Regional Field Unit in Tuguegarao City.